(Bloomberg) – Discovery Ltd. is on track to start a South African bank by the end of this year after agreeing to buy FirstRand Ltd.’s stake in a credit-card venture, a transaction which had delayed the lender’s launch. Johannesburg-based Discovery is joining a rush into South African retail banking by a range of new entrants spanning from insurer Old Mutual Ltd. to local banking-veteran Michael Jordaan, who is looking to start a digital-only offering. The country’s largest medical-insurance administrator is adding to its businesses in life, property and casualty cover, and a loyalty program that rewards customers who keep healthy through partnerships around the world. The insurer will pay R1.8 billion ($120 million) for FirstRand’s 25 percent stake in Discovery Card, which it started with the country’s second-largest banking group in 2004, Discovery said in a statement on Tuesday. The deal will be implemented as “as soon as practically possible,” to meet one of the conditions imposed by the South African central bank when the regulator granted Discovery its banking license, the company said. The transaction will be funded through issuing of stock and is still subject to regulatory approval, Discovery said. Discovery Bank will hold all rights to the credit-card book once the transaction is finalised and the assets will be migrated over time, it said. “Although these developments have delayed the process slightly, the bank-build is progressing well and remains within budget, and the launch is expected before the end of 2018,” Discovery said. Profit at the Discovery Card venture increased by 17 percent to R414 million in the 12 months through June, while revenue rose 6 percent to R1 billion. Discovery’s annual financial results for the year ended 30 June 2018 again exceeded expectations. Adrian Gore, Chief Executive of Discovery Group credited Ambition 2018 as the transformative framework supporting the strong performance and evolution of the Group’s Shared-Value Insurance model. Adrian Gore at the launch of Sumitomo Vitality in Japan, July 2018. The Group established clear performance measures for Ambition 2018 four years ago, and performed strongly against these, with all businesses performing excellently over the year. Normalised headline earnings increased by 16% to R5,401 million; and core new business Annualised Premium Income (which excludes Discovery Health’s take-on of new closed medical schemes and gross revenue of Vitality Group) increased by 10% to R16,137 million. Normalised headline earnings per share increased to 836.9c (diluted) and return on equity exceeded risk free +9%, despite considerable investment in new businesses during the year. Discovery’s established businesses are of significant scale and continue to grow. Discovery Health leads in open medical scheme market share, Discovery Life leads in new business market share, Discovery Invest is in the top 10 retail asset takers, and VitalityHealth and VitalityLife in the United Kingdom are amongst the top five market leaders. Emerging businesses, Discovery Insure, Vitality Group, and Ping An Health have all turned profitable over the period. Demonstrating their potential, Discovery Insure is the fastest-growing short-term insurer in the country; Vitality Group is growing the Group’s global footprint; and Ping An Health is the leading private health insurer in China. All three businesses continued to scale and innovate, offering substantial value to the Global Vitality Platform. Gore confirmed that Discovery remains focused on growth and investment in new businesses and initiatives in response to the scale and less linear growth rate of established businesses over time. He said the growth model, capital philosophy and cash framework applied by the Group have proven to be robust mechanisms for achieving the long-term growth plans and vision. The Group generated R10.6 billion in cash from in-force businesses, and after payment of tax, dividends and interest on debt, invested R7.8 billion in new business and R2 billion in new initiatives. 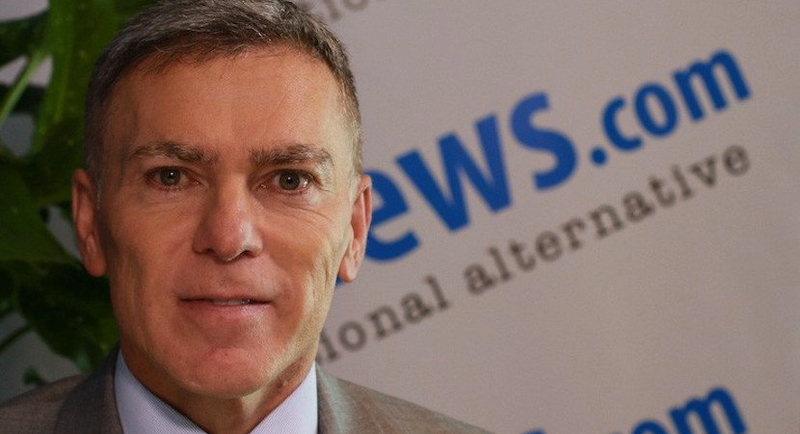 Discovery buying last 25% of card business from FirstRand for R1.8bn. 3yrs ago they bought 55% for R1.3bn. New businesses launched during the period, include Discovery Insure’s Discovery for Business in South Africa and the long-term savings business, VitalityInvest, in the United Kingdom. The development of Discovery Bank is another key focus area for the Group and the excellent performance of Discovery Card during the period bodes well for the Bank. Profits for the Discovery Card and FNB joint venture grew by 17% to R414 million and revenue increased by 6% to R1 billion. Discovery Bank has licence approval subject to the condition that FirstRand Bank’s shareholding reduces over time. Discovery and FirstRand have reached an agreement on Discovery acquiring all economic interests and rights of Discovery Card, and the remaining 25.01% shareholding in Discovery Bank. The total combined acquisition price payable is R1.8 billion which will be funded by an equity issuance limited to the purchase price. Although these developments have delayed the process slightly, the Bank build is progressing well and remains within budget and on track to launch within 2018. Investments in the Group’s central assets continue to strengthen its global competitiveness. An important milestone during the year was the launch of the Vitality One technology infrastructure, offering a unified systems architecture for all markets to access the Global Vitality Platform. This provides a more rigorous approach to integrate the Vitality model into financial services. Vitality Group delivered excellent results for the period, transitioning to profitability with a profit of $2.6 million. Vitality membership through insurance partners increased 91% to over 750,000 and total Vitality Group membership reached 1.56 million (full Vitality members only). Vitality is now present in 19 countries through partnerships with more than 12 leading insurers. The Group offers more than 30 Shared-Value products across life, health, short-term insurance, and investments. A significant recent development is the addition of Sumitomo Vitality to the Global Vitality Network which launched in Japan in July 2018. The partnership with Hannover Re will see three new markets signed on within the next 12 months. 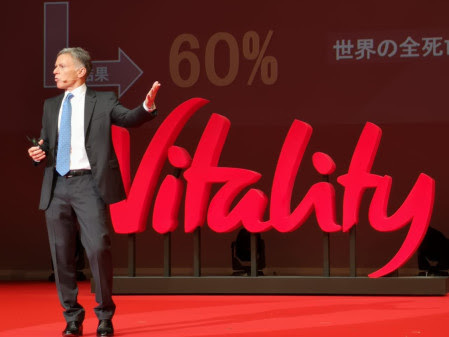 As Vitality continues to broaden its international reach, the aim is to plug into multiple industries, with engaging and effective behavioural programmes, global brand initiatives and partners, and industry-leading data and technology capabilities.